3. Select the or mode. 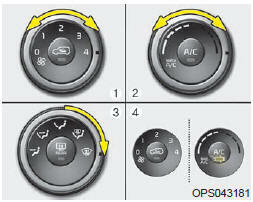 If the air conditioning and outside (fresh) air position are not selected automatically, press the corresponding button manually. Knock Sensor (KS). Knock Sensor (KS).